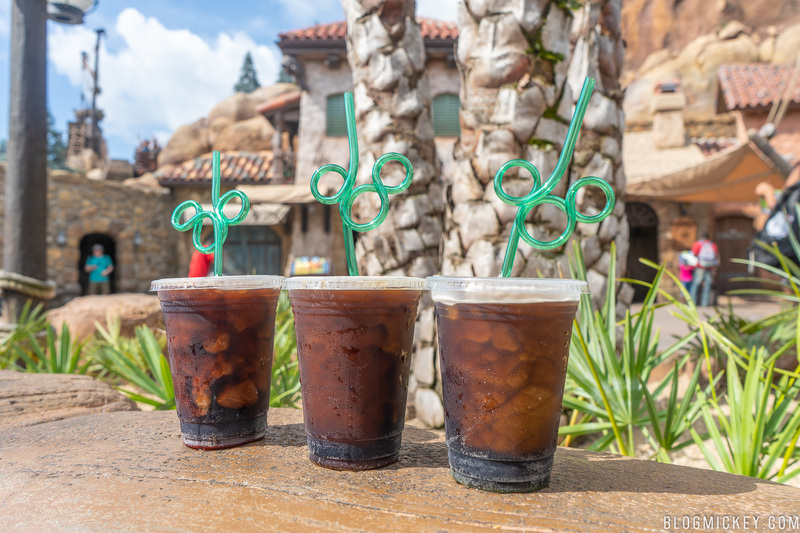 Guests looking for a unique flavor in their frozen Coke can now find some at Prince Eric’s Village Market in Magic Kingdom. 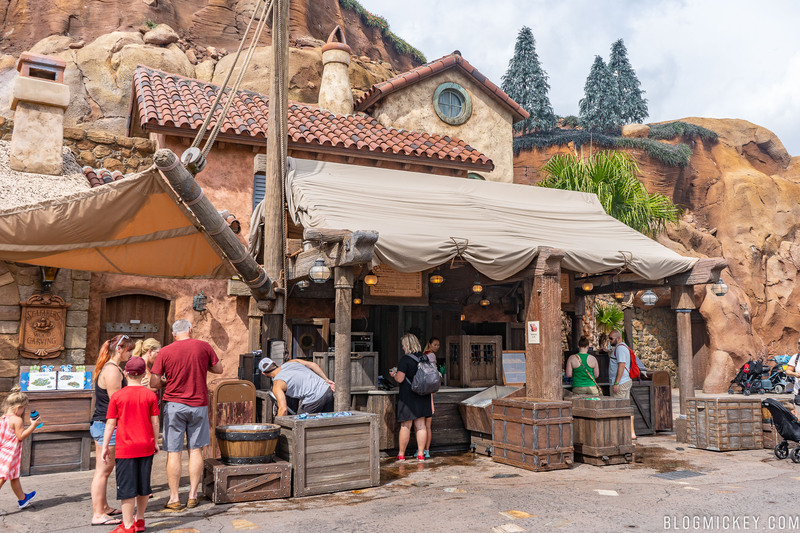 Located across from Journey of The Little Mermaid in Fantasyland, Prince Eric’s Village Market has seven new flavored syrups for your Coke slush. Seven different flavors await you – Apple, Green Apple, Caramel, Vanilla, Cherry, Watermelon, Toasted Marshmallow, or Red Passion Fruit. Life’s full of tough choices, innit? We decided on red passion fruit, toasted marshmallow, and green apple (pictured left to right). 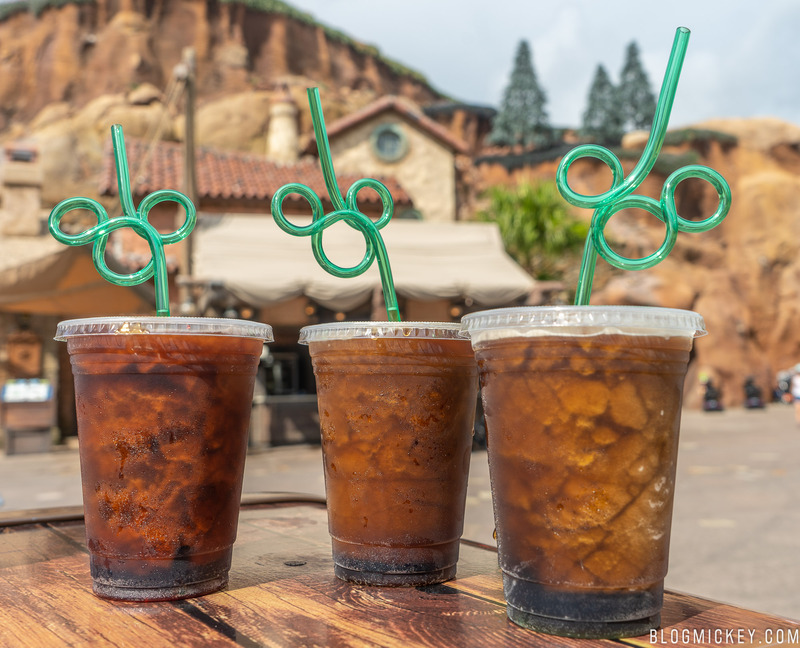 An added bonus is that each of the drinks come with a hard plastic souvenir Mickey straw. 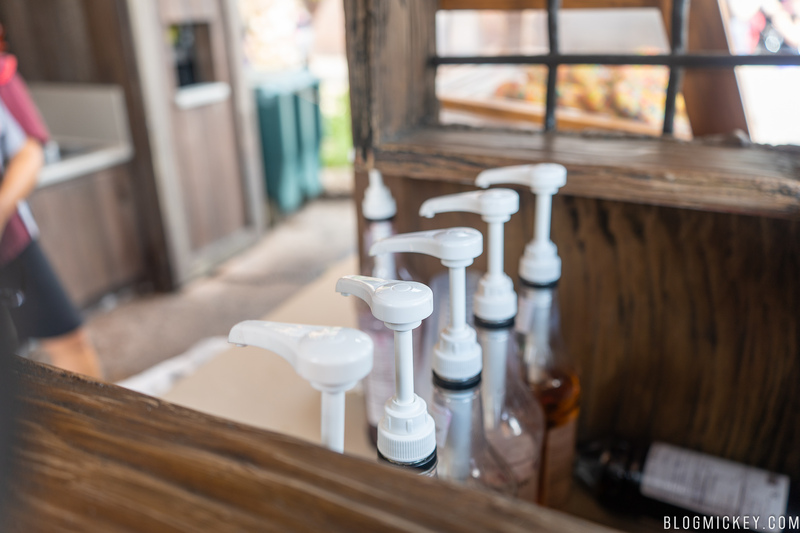 Cast Members start with a few pumps of syrup before adding the Coke slush on top to allow for the flavors to mix with the slush better. Of course, it’s really hard to tell which is which without a closer look. Here are the red passion fruit, toasted marshmallow, and green apple, respectively. 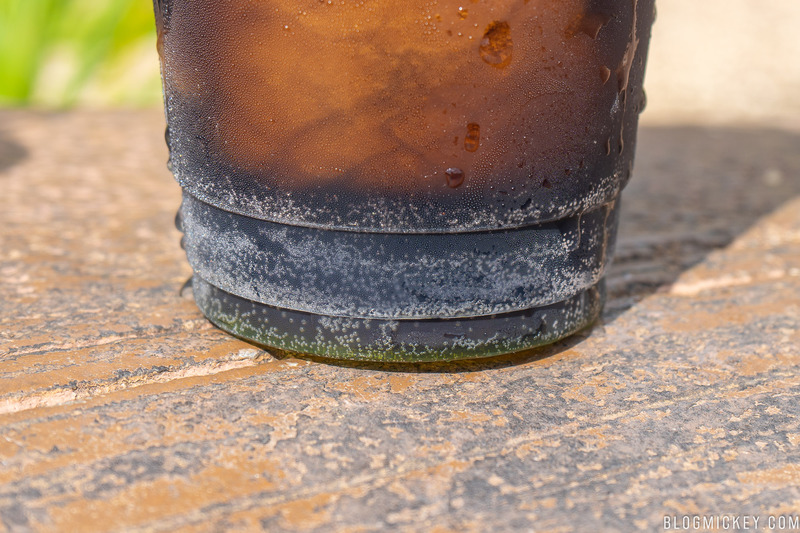 You can just make out the red, brown, and green syrup at the bottom of the coke. 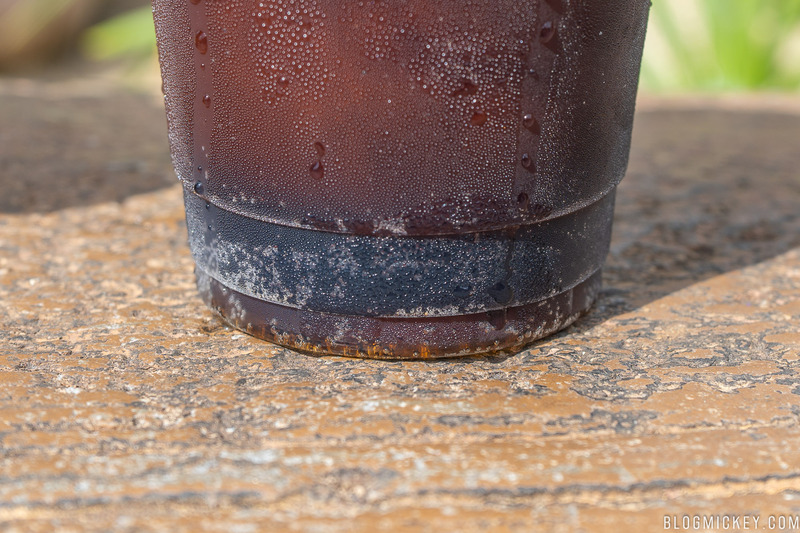 We didn’t find that the extra syrup at the bottom was a big deal, but a quick swish of the coke with your straw will evenly mix the flavor again. We were pleasantly surprised that the few pumps of flavored syrup really did add a noticeable and accurate taste to each drink. The strongest flavoring of the three that we tried was the toasted marshmallow, with a taste similar to what you might find in a coffee shop syrup. It was definitely odd to have a toasted marshmallow flavor in a frozen coke slush, but if you’re looking for something extremely unique, this is it. Our favorite was the green apple. We tend to gravitate to green apple flavors in our sweets anyway, but it added a nicely tart kick to a refreshing drink. You can’t go wrong with the red passion fruit either, which ended up being close to a fruit punch. After we ordered our drinks, we got a lot of questions from other guests, who went on to order their own. We talked to one group who ordered the watermelon and cherry and they said that both were good, but that the watermelon was really refreshing and something that they would order again. Oh, and there is one more thing. We haven’t discussed the subject of payment. Disney isn’t asking much, just a token really, a trifle. 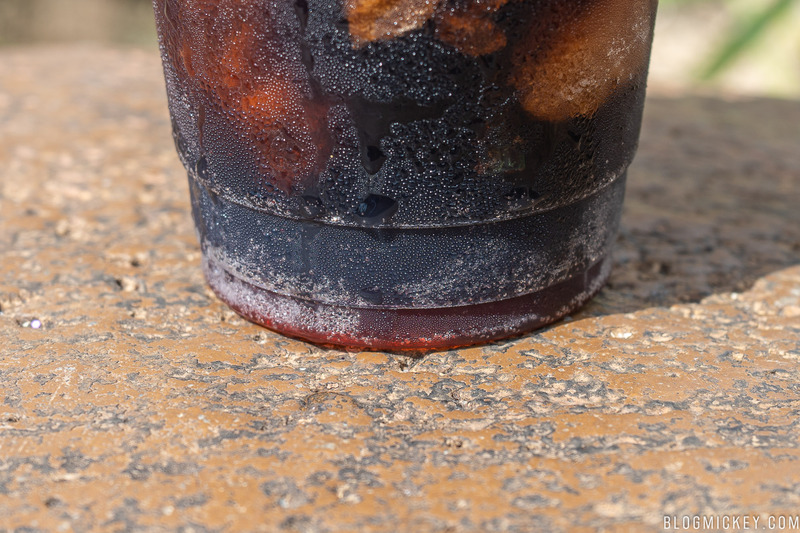 For $0.50 more than a regular Coke slush you can add a splash of flavor. 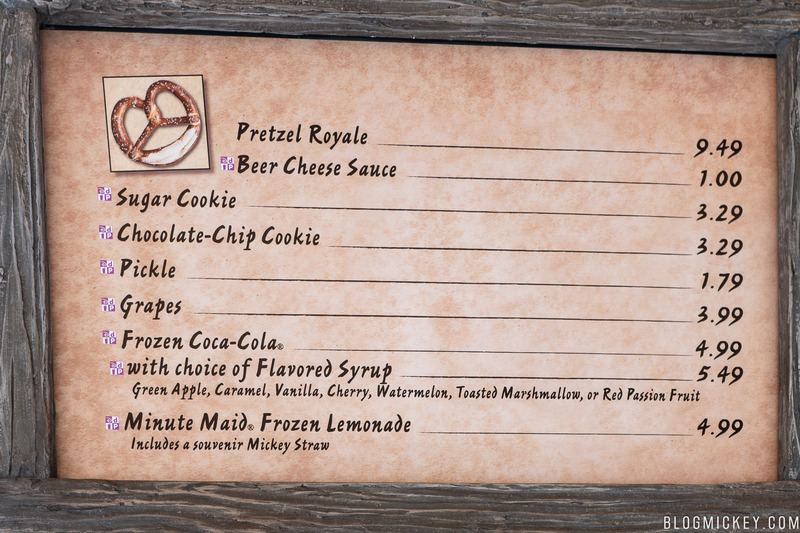 So next time you’re in Magic Kingdom and looking for a unique and refreshing drink, head on over to Prince Eric’s Village Market to make a flavored Coke slush part of your world.